Part 2 of my Yoga International article on yoga's strength imbalance was published today! I'm lucky to have been able to reference the work of several of my amazing teachers in this piece. I'm also more than grateful to Yoga International for embracing and sharing the positive message that while yoga is a fantastic practice for us, it isn't a "complete" one from an anatomical perspective, and there are a lot of other great movements out there that we can do to round things out. I hope you enjoy! "Yoga is often described as a balanced and complete long-term health and wellness practice. But does a consistent yoga practice really provide the body with everything it needs to function optimally? 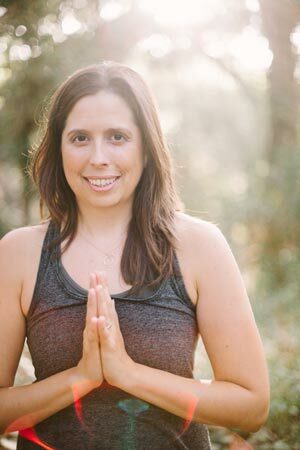 Yoga teacher Jenni Rawlings explains that although asana is a wonderful and transformative practice, when explored through the lens of anatomy, there is one aspect of this practice that is surprisingly unbalanced. But don't fear! In this article, she'll not only elucidate what this imbalance is but also how practitioners can undo it. Take what you learn and enhance the safety and overall function of your practice today!"